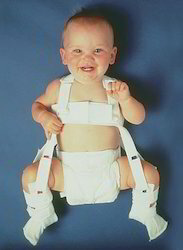 The Pavlik Harness is a brace that is most commonly used for babies who have hip dysplasia, a hip disorder. Sometimes, it is also used for babies with a femur fracture. The purpose of the harness is to keep the hips and knees bent (flexed) and thighs spread apart (abducted). 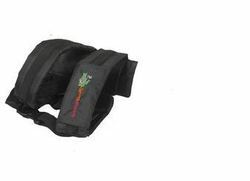 - Kid Safe Belt Plus this is possible. When Emirates Driving Institute collaborated with Roads and Traffic Authority, Govt. of Dubai to kick start a campaign for child seats under its "Buckle Up for Safety" campaign, Carillon came up with some very interesting visuals and technical drawings and content to produce a 12 page booklet. Even after 7 years of its introduction, the booklet continues to be distributed to residents of UAE. Kid Safe Belt, a safety harness that keeps your child comfortably strapped to you while riding the bike or scooter, especially if you have to make a sharp turn to avoid a pothole or to counter a skid. Our customised baby safety assessment at your home, school or workplace will be conducted over two days. We will study every room in detail and submit a detailed report to management or parents with suggested changes. We will then help you implement the recommended changes. We will also do a follow-up visit to ensure that the safety recommendations are being followed.